FarmVille is more than just an ultra-popular farming simulation -- it's a chance to express yourself artistically through unique and creative farm layouts. 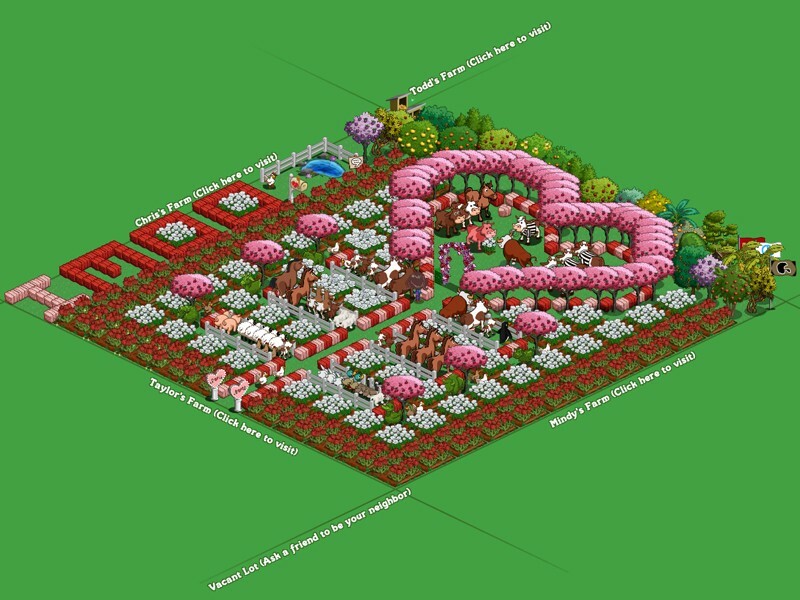 To that end, Games.com's FarmVille Picture of the Day features some of the most interesting and imaginative FarmVille layouts out there. Got a FarmVille pic you want to share? Send it to submit2gamescom@gmail.com. Celebrate love the only way FarmVille can, with a "divine bovine wedding." The happy couple was married by a referee cow in the middle of a heart-shaped grove of cherry trees. There were six in the wedding party and menagerie of horses, ducks, pigs and sheep in attendance. This is the first wedding for both the bride and groom, who sealed their vows by mooing in stereo.